Mastic (Greek: Μαστίχα) is a resin obtained from the mastic tree (Pistacia lentiscus). In pharmacies and nature shops, it is called "Arabic gum" (not to be confused with gum arabic) and "Yemen gum". 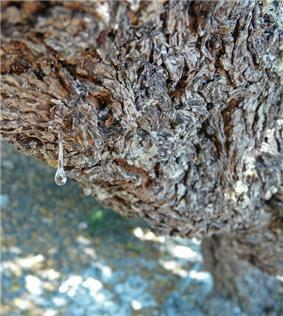 In Greece, it is known as the "tears of Chios," being traditionally produced on that Greek island, and, like other natural resins, is produced in "tears" or droplets. Originally a liquid, mastic is sun-dried into drops of hard brittle translucent resin. When chewed, the resin softens and becomes a bright white and opaque gum. The flavor is bitter at first, but after some chewing, it releases a refreshing, slightly pine or cedar-like flavor. The word mastic is derived from the Greek verb, μαστιχειν "to gnash the teeth", which is the source of the English word masticate. The word mastic is a synonym for gum in many languages. Within the European Union, mastic production in Chios is granted protected designation of origin. The island's mastic production is controlled by a co-operative of medieval villages, collectively known as the 'Mastichochoria' (Μαστιχοχώρια), which is also located in southern Chios. There is even a small Museum of Mastic in the village of Pyrgi. Traditionally there has also been limited production of mastic on the Çeşme peninsula, on the Turkish coast only eight nautical miles from Chios, with similar ecological conditions suitable for mastic production. The Turkish Foundation for Combating Soil Erosion, for Reforestation and the Protection of Natural Habitats TEMA has been leading a project to protect the native mastic trees and to plant new ones in Çeşme peninsula to revive viable commercial production. As part of this project, which is expected to last through 2016, over 3,000 mastic tree saplings were planted between 2008 and October 2011 to over 368 acres (149 hectares) of dedicated farm land provided by the Izmir Institute of Technology. The harvest takes place from the beginning of July to the beginning of October. First, the area around the tree is cleared and sprinkled with inert calcium carbonate. Then, every 4–5 days, 5-10 incisions are made in the bark of each tree. The resin flows from the incisions and solidifies on the ground. The pieces of dry mastic can then be collected for cleaning and eventual sale. In addition to mastic, mastic oil is also produced. The rarity of mastic and the difficulty of its production make it expensive. As a result, imitations in the form of other resins appear in the market, sold as "mastic," such as Boswellia or gum arabic. Other trees, such as Pistacia palaestina, can also produce a resin similar to mastic. 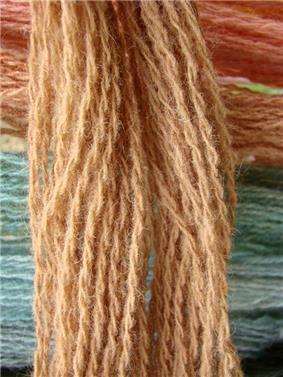 Yet other substances, such as pine tree resin and almond tree resin, are sometimes used in place of mastic. 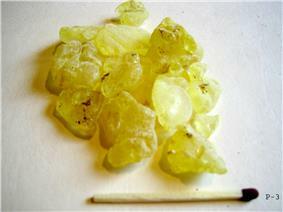 Mastic has been used as a medicine since antiquity and is still used in traditional folk medicine of the Middle East. In ancient Greece, it was given as a remedy for snakebite, and, in India and Persia, it was used to fill dental cavities. The first-century Greek physician Pedanius Dioscorides mentions the healing properties of mastic in his book De Materia Medica. Hippocrates wrote that the mastic is good for prevention of digestive problems and colds, and Galenus suggested that mastic was useful for bronchitis and for improving the condition of the blood. In medieval times, mastic was highly valued by sultans' harems as a breath freshener and a tooth whitener. Mastic contains antioxidants and also has antibacterial and antifungal properties. A Nottingham University study published in the New England Journal of Medicine claims that mastic can cure peptic ulcers by killing Helicobacter pylori bacteria. Other studies have indicated that mastic has only a modest ability to eliminate H. pylori but have also suggested that refining mastic by removing the polymer poly-β-myrcene may make the active components, particularly isomasticadienolic acid, more available and effective. Mastic may also have some value in preventing tooth decay and gingivitis as chewing mastic reduces oral bacteria. One study found that high consumption of Chios mastic powder results in decreased levels of total serum cholesterol, LDL, total cholesterol/HDL ratio, lipoprotein (a), apolipoprotein A-1, apolipoprotein B, ALT, AST, and GGT. Mastic oil is widely used in the preparation of ointments for skin disorders and afflictions. It is also used in the manufacture of adhesive bandages. One of the earliest uses of mastic was as chewing gum; hence, the name. Mastic-flavored chewing gum is sold in Lebanon Turkey, and Greece. Mastic is used in ice cream, sauces, and seasoning in Lebanon. In Egypt, mastic is used in vegetable preserves, in jams that have a gummy consistency, in soups, and in the preparation of meats. In Morocco, mastic is used in the preparation of smoked foods. In the Maghreb countries, mastic is used mainly for cakes, sweets, and pastries and as a stabilizer in meringue and nougat. In Greece, mastic is used in mastic liqueurs such as Mastichato; in a spoon sweet known as "vaníllia"; in beverages, chewing gum, sweets, desserts, and breads; and in cheese. It is also used to stabilize Turkish delight or mastic-gum ice cream. In desserts, as an ingredient of jam or cakes, mastic replaces cornstarch and gelatin. During the Ottoman rule of Chios, mastic was worth its weight in gold. The penalty for stealing mastic was execution by order of the sultan. In the Chios Massacre of 1822, the people of the Mastichochoria region were spared by the sultan to provide mastic to him and his harem. Sakız Adası, the Turkish name for the island of Chios, means "island of gum". The production of mastic was threatened by the Chios forest fire that destroyed some mastic groves in August 2012. Some scholars identify the bakha בכא mentioned in the Bible with the mastic plant. Bakha appears to be derived from the Hebrew word for weeping, and is thought to refer to the "tears" of resin secreted by the mastic plant. Ancient Jewish halachic sources indicate mastic as a treatment for bad breath: "Mastic is not chewed on shabbat. When [is it permissible to chew mastic on shabbat]? When the intention is medicinal. If it is against a bad odor, it is permissible." ^ "Mastic @ The EpicentreThe Epicentre". Theepicentre.com. Retrieved 2013-06-18. ^ Gönderen Burçin ÇOKUYSAL (1923-03-20). "Prof.Dr. 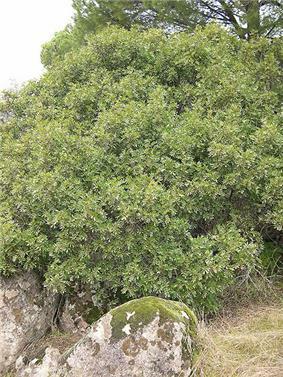 Burçin ÇOKUYSAL: ECOLOGIC EVALUATION OF Pistacia lentiscus (MASTIC) IN ÇEŞME PENINSULA". Burcincokuysal.blogspot.com. Retrieved 2013-06-18. ^ TEMA Foundation. "Sakız Ağaçlarına Sevgi Aşılıyoruz Projesi’nde yeni bir dönem başlıyor". Retrieved 2014-06-06. ^ Koutsoudaki C, Krsek M, Rodger A (October 2005). "Chemical composition and antibacterial activity of the essential oil and the gum of Pistacia lentiscus Var. chia". Journal of Agricultural and Food Chemistry 53 (20): 7681–5. ^ Huwez FU, Thirlwell D, Cockayne A, Ala'Aldeen DA (December 1998). "Mastic gum kills Helicobacter pylori". The New England Journal of Medicine 339 (26): 1946. ^ Paraschos S, Magiatis P, Mitakou S, et al. (February 2007). "In vitro and in vivo activities of Chios mastic gum extracts and constituents against Helicobacter pylori". Antimicrobial Agents and Chemotherapy 51 (2): 551–9. ^ Aksoy A, Duran N, Koksal F (June 2006). "In vitro and in vivo antimicrobial effects of mastic chewing gum against Streptococcus mutans and mutans streptococci". Archives of Oral Biology 51 (6): 476–81. ^ Takahashi K, Fukazawa M, Motohira H, Ochiai K, Nishikawa H, Miyata T (April 2003). "A pilot study on antiplaque effects of mastic chewing gum in the oral cavity". Journal of Periodontology 74 (4): 501–5. ^ Triantafyllou, A.; Chaviaras, N.; Sergentanis, T. N.; Protopapa, E.; Tsaknis, J. (2007). "Chios mastic gum modulates serum biochemical parameters in a human population". Journal of Ethnopharmacology 111 (1): 43–49.